7 p.m., Monday 20 May 2019 – Croydon Town Hall, Katharine Street, Croydon CR9 1ET (room F10). Aurora people took part in the parade for Croydon Pride 2018 on 14th July. See www.croydonpride.org.uk. We've been updating the information on our reporting page and helping to produce a new leaflet on hate crime reporting. The new leaflet, featuring the "Stop the hate" logo, was launched on 20 April 2016 at an event in Croydon Town Hall. We've also been involved in events for IDAHOT, the International Day Against Homophobia and Transphobia. Throughout February (LGBT History Month) Aurora once again featured in the displays about local LGBT organisations in Croydon Library. There was a full programme of History Month events in Croydon. Croydon police have issued an urgent warning about local gay men being attacked in their homes following a contact made on Grindr. For more details, see our News page. 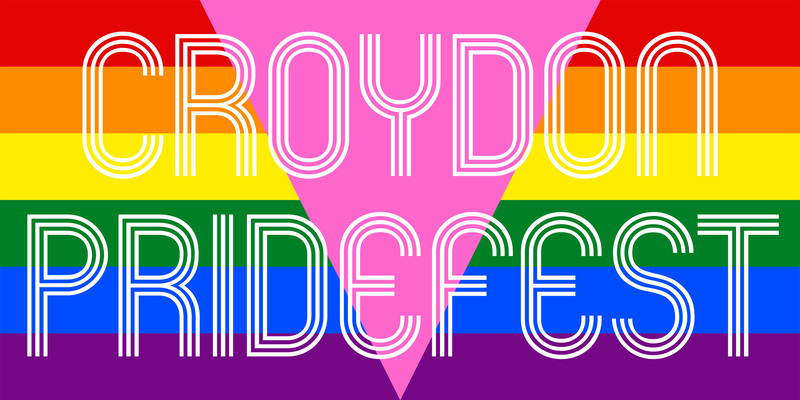 For other LGBT groups and events in Croydon, see LGBT Croydon: www.lgbt-croydon.org.uk.